What is MUDRA Bank Scheme? Micro Units Development and Refinance Agency Bank (MUDRA Bank), is a new institution set up by the Government of India for development of micro-units and refinance of MFIs to encourage entrepreneurship, startups. Today, Mudra Bank had announced by the Honourable Finance Minister during Union Budget to uplift support unorganized sector. It has two types of products like refinance for the micro-units having loan requirement from Rs 50 thousand to 10 lakhs and support of Micro Finance Institutions (MFI) for on landing. MUDRA Bank will refinance to micro-business under the scheme of Pradhan Mantri MUDRA Bank Yojana. Under the guideline of Pradhan Mantri MUDRA Scheme (PMMY), MUDRA Bank has launched three initiative product to the name of SHISHU, KISHOR & TARUN to signify the stage of growth and funding needs of the micro-units, startups or entrepreneur. MUDRA Bank is refinancing through State level institutions, like NBFCs, MFIs, Regional Rural Banks, District Banks, Cooperative Banks, Nationalize Banks, Private Banks, Primary Lending Institutions and other intermediaries. What is the Rate of interest of MUDRA Loan? There is no fix Interest rate of MUDRA loan. According to sources banks are charging around Base Rate + 1% to 7% minimum. Click here to apply for mudra loan, Now. The terms and conditions of the lending agency may have to be followed for availing of a loan. The Interest rates of mudra loan may very bank to bank. Please visit the branch to get the current interest rate. Who is eligible for MUDRA Bank Loan? Any Indian who are involved in income generating activities like manufacturing, processing, trading, service sector and whose requirement is under 10 lakh, can approach Banks, MFIs, Financial Institutions or NBFC for availing of MUDRA loans under Pradhan Mantri Mudra Yojana (PMMY). MUDRA Bank is refinancing agriculture sector under PMMY with traders of vegetables & fruits covers under MUDRA Bank Schemes. Modi Government had decided to provide an additional fund of ₹ 1 Lakh crore to the market to generate jobs. 40,000 Crore Rupee for Mudra Bank Shishu Loan Scheme. 35, 000 Crore Rupee for Mudra Bank Kishor Loan Scheme. 25, 000 Crore Rupee for Mudra Bank Tarun Loan Scheme. We are getting lots of complaints from users that banks are not showing interest to disburse loan under MUDRA scheme. We are working on that issue and found that Banks are not showing interest because it is unsecured & can be NPA at large scale. mudrabank.com does not belong to govt. of India or any other MUDRA or any other Govt. agency. We made that website to share experience & exchange information only. MUDRA is not a bank. It has been constituted to make policy for MUDRA Loan & provide the collateral loan to unorganized sectors & individuals. Tags:- Mudra Bank, Bank Mudra, Mudra Bank Loan, Mudra Loan, Mudra Scheme, Mudra Bank Scheme. Mudra Bank or Mudra Loan is a scheme of Central Govt. 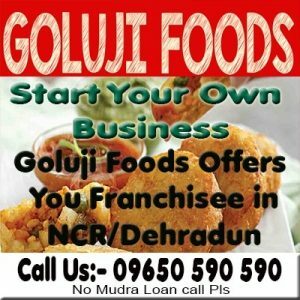 Where anyone can apply for Mudra Loan without any collateral.